When it comes to picking out a musical instrument for your child to start off with you'll want something that's fun, easy to play, and lends itself towards teaching the basics of musical theory. Xylophone is the best musical instrument you can to your kids. It is ideal to stimulate early musical education. 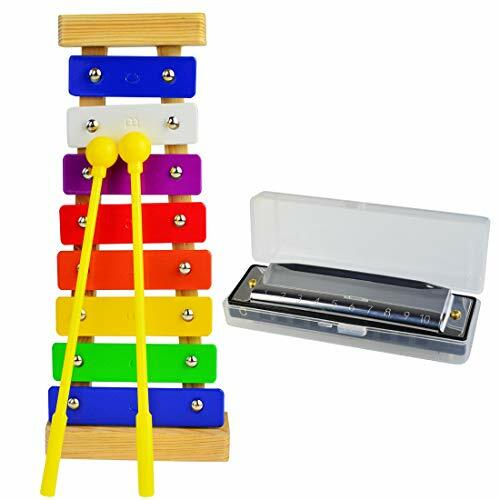 This wooden xylophone has very melodious sound, bright colors, which will be attracted and adored by your kids. By knocking the aluminum plate, your children can play 8 different tones with 2 mallets. Easy for children to create their own music song, bringing pretty fun & enjoyment for kids. It can also inspire children's sense of rhythm. If you have any questions about this product by Yolyoo, contact us by completing and submitting the form below. If you are looking for a specif part number, please include it with your message.